Straw color. Fruity aromas and flavors of pears in syrup, fruit cocktail, pastry cream, honey, and lime zest with a silky, crisp, fruity light-to-medium body and a polished, crisp finish with suggestions of sweet almond. A friendly, crisp and fruity pinot grigio for all. 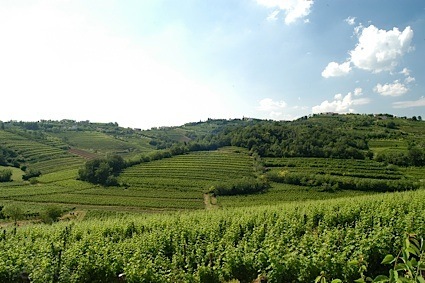 Bottom Line: A friendly, crisp and fruity pinot grigio for all. 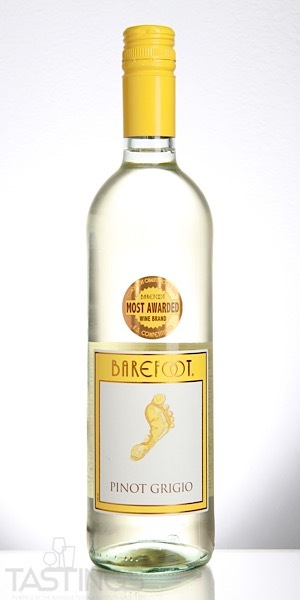 Barefoot NV Pinot Grigio, American rating was calculated by tastings.com to be 86 points out of 100 on 8/24/2018. Please note that MSRP may have changed since the date of our review.